Verbal Branding & Brewpub Beer Snobs. 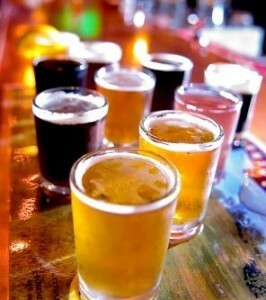 >> Verbal Branding & Brewpub Beer Snobs. “Two more pounds of hops per barrel! Ooooookay. Time for a translation. We flagged down the waiter and asked for his recommendation. We’re not new to the craft beer scene, but we were hoping for a simple recommendation… a layman’s answer. “Oh. Well, the Monkey Fire Red Amber Ale has FRESH Willamette Valley hops,” he said in a knowing, somewhat snobbish tone. As if that’s all we’d need to know. Wow. Awkward silence. I’m thinking, “Uhhhhhhhh. So What? 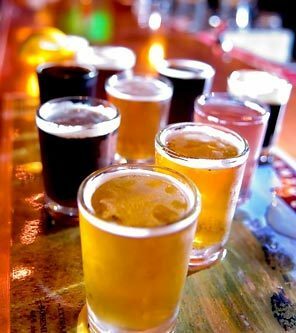 What does fresh hops mean to my thirsty tastebuds? How is that going to affect the flavor of the beer? What am I supposed to do with that information?” We had no idea and he had nothing to offer. My friend and I looked at each other, pondered that one, and looked at the waiter with a blank stare. The grungy, beer-snob just stood there, looking at us like we were from another planet. He just assumed we knew the benefits of fresh hops. Everybody knows that, right? These hops look pretty fresh to me. Boy, did we feel stupid. Rule number one of Branding 101: Don’t make your customers or prospects feel stupid. Nobody likes that. It makes them feel like they’re being excluded somehow, and it’s pretty much impossible to build brand loyalty when people feel excluded. Attorneys and doctors are the most common offenders. It’s easy to make people feel stupid when you’re an expert in a field filled with jargon. But a waiter in a brewpub??? There are plenty of professionals who are good at making people feel dumb: Management consultants, financial advisors, IT guys, golf pros and now, apparently, brew pub waiters all obscure their work in a veil of jargon in order to increase the perceived value of their service. It’s understandable, but contrary to the laws of good branding. With great brands, people feel included. Not excluded. Companies like Apple openly invite everyone into the “club.” They don’t use high tech jargon that appeals only to early adapters and computer industry nerds, they use plain, everyday English that excludes no one. And once you’re in, you feel a genuine sense of belonging. Did you see Steve Job’s speech from last week? Doesn’t matter. Even if the target audience is brilliant enough to understand reams of engineering data and technical specs, that doesn’t mean you should baffle them with your insider-ese. Every industry has its own vernacular. For instance, many business owners have heard TV advertising salespeople spewing on about Neilsons and CUME and gross rating points and impact quotients. Every time you leave someone with nagging questions like that, you’ve missed a great branding opportunity. You’ve overlooked the real benefit of your product or service. And you hurt the credibility of your brand. In the end, we didn’t go with the waiter’s recommendation. The beer we chose was quite good, even without the fresh, Willamette Valley hops, but the flavor was tainted by the experience we had and the nagging question the waiter never did answer. He was so far inside that barrel of beer, he couldn’t possibly understand the consumer’s perspective. Think about that. Think about the last conversation you had with a prospective customer, partner or key employee. What kind of language did you use? Was it loaded with insider information and industry jargon that sounds foreign to anyone outside your inner circle? If it was, maybe it’s time to shut up and listen for a change. Put your ego aside and get some outside perspective. Turn off the doubletalk and turn back to plain English. You might be surprised how persuasive plain speak can be. P.S. 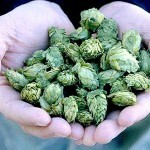 If any of you can explain the benefits of fresh hops, please leave a comment. I know we grow good hops here in Oregon, but I still don’t know what the big deal is about being fresh? 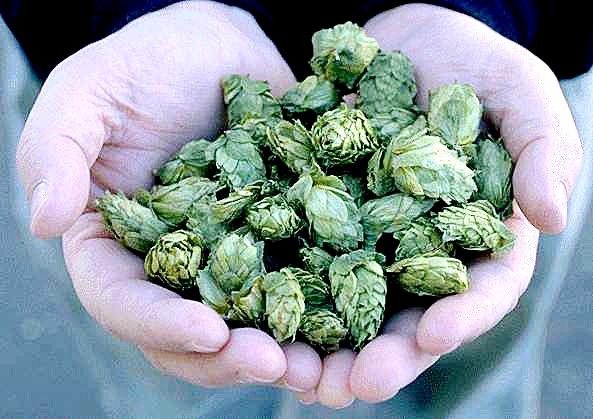 What’s the alternative… frozen hops? Give me a break. And if you’re thinking of opening yet another brew pub around here, give BNBranding a call. You’re going to need help differentiating yourself. I drink beer, but I certainly don’t know the value of fresh hops either. Too many companies never stop to think about the ultimate end user. Entrepreneurs especially tend to assume that everyone knows what they know, not realizing that if they DID, they would likely be a competitor, not a consumer. One of the best marketing tactics is to EDUCATE your customers so they can share their new knowledge with others as well. Ive been reading your blog for a while. I’ve learned a lot so please keep it up for us to be updated!! Can you post more often? I love the point of this piece: inclusion as a brand outcome. You can’t just speak to one audience. You need to account for the wide variety of audiences you’re reaching out to. Your experience may have been different if you were given a fun explanation of what fresh hops really mean. A time and place is available, as Gil says, to educate consumers. In any case, you’re spot on… nobody likes to feel excluded. They want to feel like they belong, that there’s a place for them. Every brand should have its ‘exclusive club,’ the inner circle or insiders who speak and understand the jargon – the so-called innovators and early adopters. Apple, Harley, Silicon Valley, Wall St – all have them. You guys happened to be in the wrong place – a place designed primarily for ‘beerheads’ with a Kiss of the Frhops (Fresh Hops to you). As usual, John, a valuable post that is as much a pleasure to read as it is insightful. David: My take on the point of the piece is inclusion as a tenet of the brand. This, of course, would then, by the very definition of “brand,” result in inclusion as an outcome. If inclusion is a value intentionally ingrained and appropriately executed in every point of contact a business, product, or service has with the world, then inclusion will, indeed, be the market’s experience. Alan: Although I agree that there can be great value in a brand strategy that includes creating and nurturing an “exclusive club” as a subset of the overall market, I’m not sure it’s correct to say that “every brand should have” one. How much value is there in the jargon of Doritos or Charmin? (For that matter, how much jargon is there behind either of those brands or others like them?) And I am absolutely certain that John and his friend were NOT in the wrong place. It’s not like they crashed a private party or correctly guessed the password to get past the gatekeeper guarding the door in some dark alley. They were, in fact, two people where were hungry and thirsty, who enjoy good beer and the atmosphere of a brew pub, who happened to be in the vicinity of this particular new pub (which I assume gave no indication whatsoever that it was philosophically or operationally different than just about every other modern brew pub). Seems to me that they had every reason to believe they were in exactly the right place. If the intended brand of this pub is to be THE place for “beerheads,” it would be fair for the pub to make that obvious before even walking through the front door. Of course, I’m sure the owners of that brew pub have no desire to go out of business in record time, so they have at least been smart enough not to overtly stake the “Beerheads Only” point of differentiation. The pub sounds like a place only for beerheads that cater to people that know why you would want fresh hops. The server should have step their language when he/she noticed your blank stares. Good point on Apple keeping it real. That’s why a lot of people like Apple because there is no jargon and not nearly as many options. There is a market for almost everything and I’m sure this pub does very well. Another pub can fill in the need for beer menu interpreters. This speaks really well to a point I believe strongly in: To communicate effectively, you must hear the message you’re communicating through your audience’s perspective. The waiter is a case in point. He would have been better off telling you that a certain beer is simply their most popular. And even better, if he had offered you small samples to try. (How on earth do you describe any unique flavor with words, and effectively communicate with any accuracy?) I would add that the ability to hear your message through the perspective of your audience is universal to ALL forms of communication, from high-level branding to the e-mails you send every day, as well as the conversations you have. Excellent post. Thanks.